Pensions, no matter how old you are, can be very confusing. We all know that we need one, but sometimes the complexity of it all can put us off. 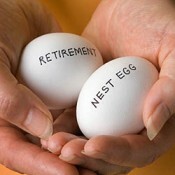 Planning your pension is vital to living a comfortable life when you are retired. Here is a brief guide explaining your options. If you haven’t already, you need to start saving into a pension. The earlier you start, the better it will be for you. And it needn’t be a large amount either. If you start early enough £10 a month is doable, and the interest rate will help it along nicely until you can contribute more. Compound interest means that you’ll be able to save more by saving a little and starting early than starting later and saving a larger amount each time. The state pension is something that you’ll get if you have paid at least thirty years worth of National Insurance to the state. If you don’t pay it, you won’t get a pension from the government when you reach pension age later in life. The most you can currently get is £110.15 a week. You will also be eligible for benefits on a state pension, but this is probably not enough for you to live on, so having a personal pension fund is really important. A workplace pension is one that is organised through your employer. They will take a portion of your salary and put into a pension for you automatically. They may also add something in to your pension too. If you’re aged over 22 and you earn more than £9,440 then you’ll be enrolled on this programme automatically. This pension can be frozen if you move from that company. How much you get out of this pension will depend on the amount that you put in, how well the fund has done and how old you are. Just like a workplace pension, a personal pension can help you top up your income from your state pension. This type of pension is perfect for someone who is self-employed or not working as they won’t have access to a workplace pension. When you retire, you need to convert your pension pot into an income that will last you the rest of your life. This is typically done by purchasing an annuity using your pension fund. They are suitable for those who have been paying into a private pension. Some providers will buy the annuity for you, but others will prompt you to buy your own before you are due to retire. There are lots of different annuities to choose from, with various annuity rates that depend on the value of government bonds, and the Bank of England base rate, amongst other things. Looking around at a variety of different annuity companies, such as www.nononsenseannuities.co.uk, will mean that you have a good idea of what is competitive and what isn’t. You can buy an annuity that increases in line with inflation, so you aren’t left without enough money to live on.